I wish I have had more quality time to commemorate Chao’s passing. 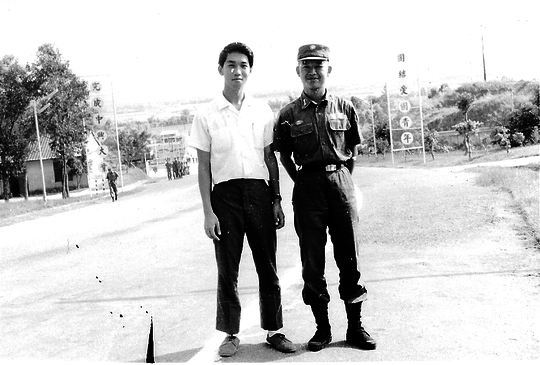 Earlier in my 30s and 40s, I visited him every time I went back to Taiwan. I was always impressed by his architectural passion. That in a way shored up my tricky professional life abroad. I didn’t expect my personal notes about Chao finds its way to the book. I could have made Chao’s inner compassion more accessible to readers. Time seems to be an expensive commodity. It is not easy to find. I remember just a while ago, Chao and I had a couple of encounters on Facebook about the precious Tunghai dance experiences. I never recall any signs of his physical weakness in his writing. I was even planning to visit him next time when I visit Taiwan. When Death whispers, it is always loud and clear. I hope you still find fun in life. More and forever more. Here is the picture, hope it works this time. 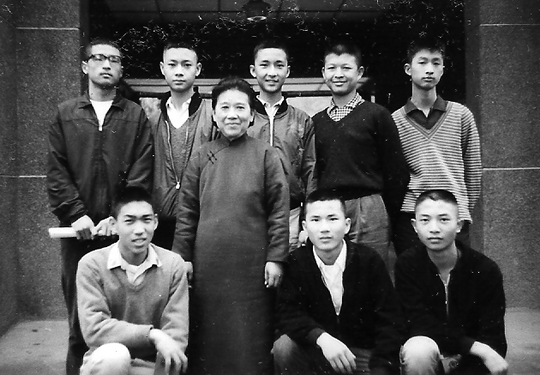 I am one of the eleven (11) 東海建築十三屆 classmates. It’s safe to say that most of my classmates do not use blogs very often, including myself. 趙建中was very enthusiastic about his blog and of course he often scolded me (us) for not commenting and/or liking his blog. 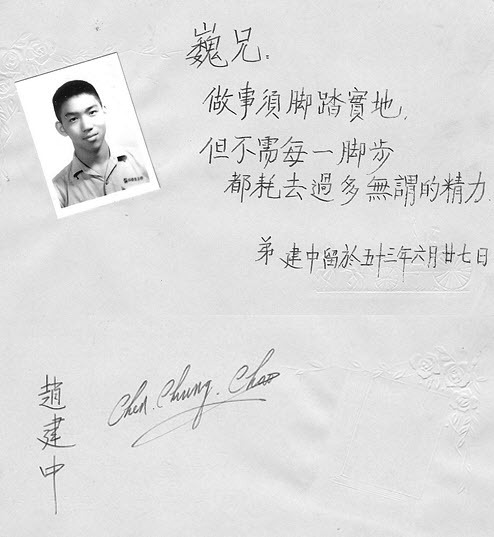 Most classmates wrote our own memorial pieces of 趙建中and submitted via the old fashion way, through emails with attachments. 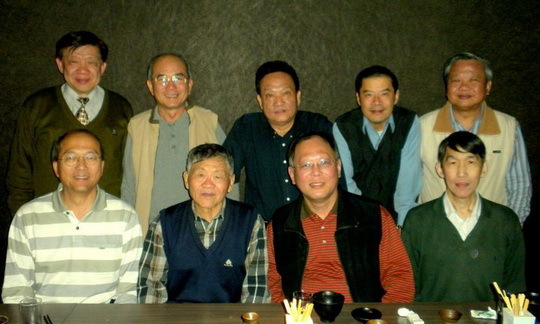 They will be included in the 紀念集 that 郭肇立 and 羅時暐 are organizing for the service on July 20th. 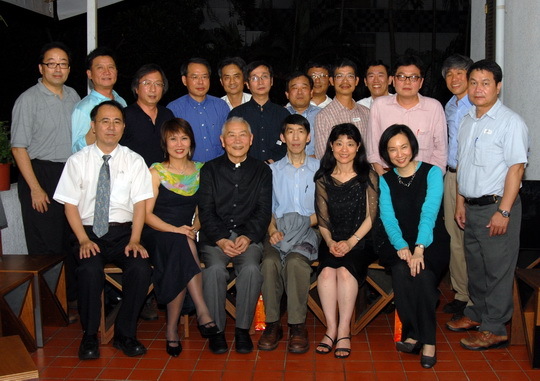 As I read everyone’s comments on 老友留言, I am moved and touched by so many and also felt that 趙建中was truly blessed. He is probably smiling down on us now. 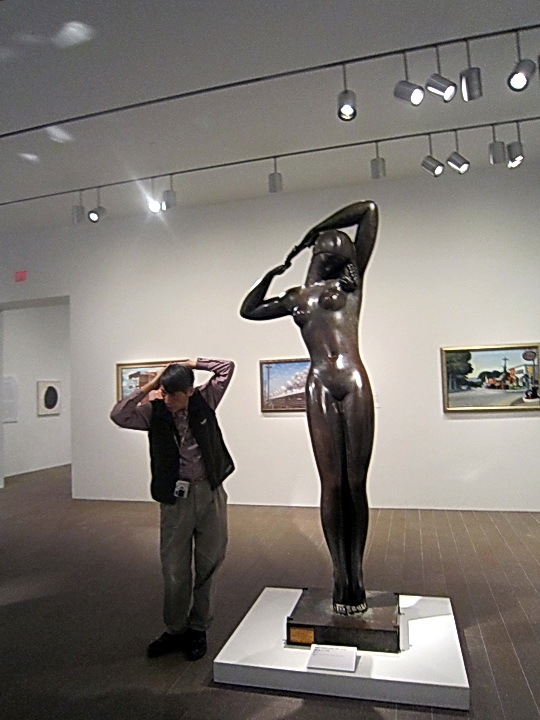 ps: Attached one picture I took of him at de Yong Museum, SF in 2011 at the last reunion he attended and enjoyed immensely. 最近一次與趙建中見面是2009年3月在台北. 座上還有初中的陳培武老師及老友劉康克(KK). 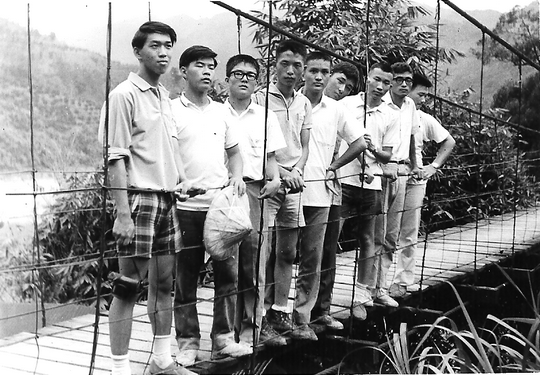 距離上次在美國與他分手已時隔三十餘年. 見面前心中非常忐忑與好奇. 不知他與從前變了多少. 畢竟三十多年是個不短的日子. 他來了之後, 先在我胸口重重一拳. 責備我多年未與他聯絡. 一點沒有生疏的感覺與距離. 他遲到了約二十分鐘.因為臨時為女兒跑腿. 對於一向守時的彵, 顯現出他的另一面. 吃飯時他點了一碗稀飯. 吃前他先放了兩三大湯匙的糖. 讓我嚇一跳. 在現在講求養生及已屆三高的年紀是很久沒見過的. 他說那是從小養成的習慣. 飯後又去一家咖啡店繼續聊天. 拿到menu後他的第一句話就是 ”老板. 你的menu需要重新設計.” 不脫他的職業病及有話直說的舊習. 這就是我以前熟悉的趙建中. 他在我的初中畢業紀念册上留言, “做事須腳踏實地, 但不需每一腳歩都耗去過多無謂的精力.” 這也是記憶中他做人做事的風格態度, 始終如一. 他的個性耿直. 了解他的為人之後, 是不難相處的. 我們雖是二十多歲前一起成長. 分隔三十多年之後依然如故. 並沒因年歲的增長, 時空的變遷, 而有改變. 也許這就是他能與這麼多人保持四五十年友誼的原因. 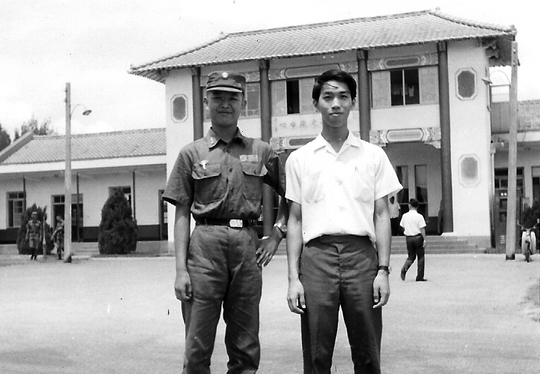 與建中結識是1961年, 我們一起進入北一女新店分部. 初中同班同學三年. 高中又一起進入建國中學. 我們雖不同班. 但教室都在建中大沙漠 (操場) 另一邊的木樓. 他的教室在樓下, 我的在樓上. 他的教室是我上樓的必經之地. 記憶中他總是做事一絲不茍, 律己甚嚴. 他初中當風紀股長, 有本記名簿. 某某某自習課講話. 某某某偷吃零食. 記得一清二楚, 毫不通容. 真是氣煞人. 歷史課講到先秦, 趙建中就被叫成了趙高. ”趙高, 與你絶交.” 但是每次絕交後不久又復交. 到高中畢業之後, 我家由新店搬到台北市區. 距離他家不遠. 我們的交往就更密切了. 他談他的建築設計及理想. 我們經常一起去台北體育館看籃球. 他也經常邀我去參加他的聚會, 介紹認識他的朋友及同學. 祇要他囘台北, 我們總會碰幾次頭. 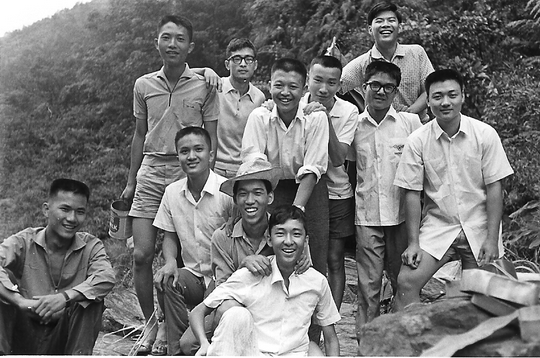 他1973年出國. 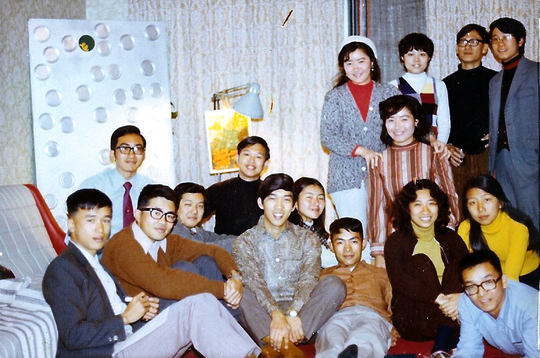 1974 和1975 年我們還在美國碰過面. 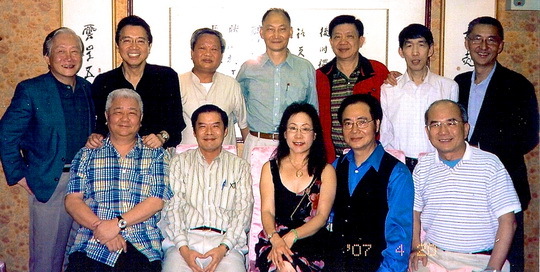 再次見面就是2009 年了. 接到趙建中去世的消息. 雖知這是每個人必經之路. 仍不能接受發生在一個相知有五十多年的老友. 立即向徐宜明(Wulutu)求証. 謝謝他轉來了一些E-mail. 其中包括他去世的消息及幾位友人對他的懷念. 執筆的有建中的妺妺慧中, Wulutu, KK, 李曦. 其中除KK 是我另一位從初中就朝夕相處的舊友外, 其他都是經由趙建中認識的. 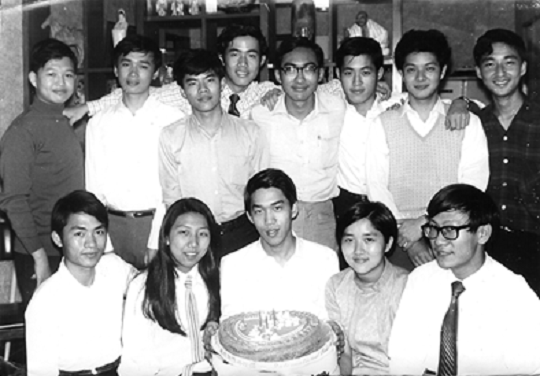 我的手邊保有一張照片, 攝於1970年建中的Birthday Party. 這些人都在照片中. 四十多年之後, 這些人仍然能聚在他的旁邊, 就是對他友誼的見證. 拜讀這些E-mail. 內心澎湃不能自已. 當年與他往來的舊事, 一幕幕的在腦海中浮現. 千頭萬緒, 不知從何處著手. 隨筆把腦中閃過的往事記下一二. 附上四十九年前他在我初中畢業紀念册上的留言及簽名, 以及四十三年前那張生日舊照. 紀念這一位當年一起成長的朋友. I am glad that I found some old photos. One was taken in his another birthday party. 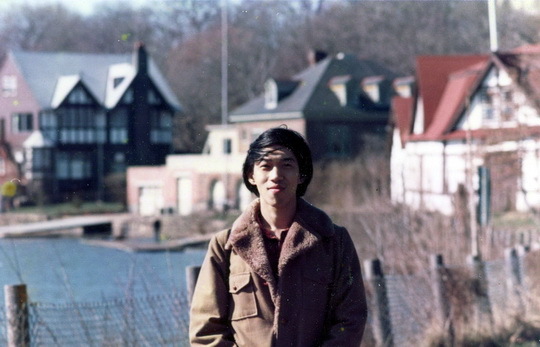 It could be taken in 1971. One was taken in one picnic. I couldn’t remember when and where it occurred. KK may remember it. 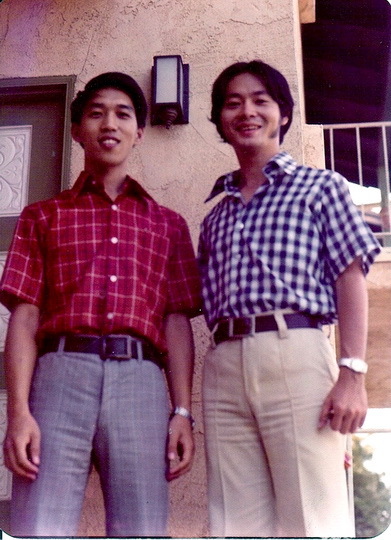 Another two were taken in summer of 1968. 建中 visited me at 成功嶺. The last one was taken at 鷺鷥潭. 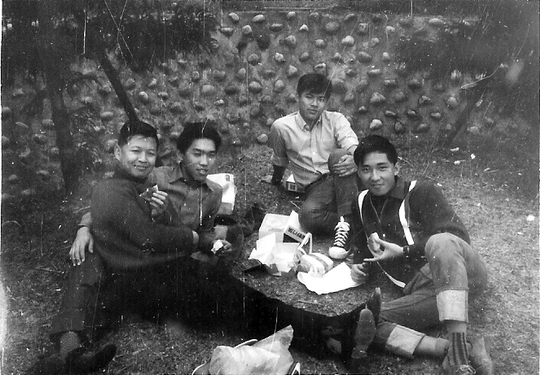 He wrote an article about camping at 鷺鷥潭 once. 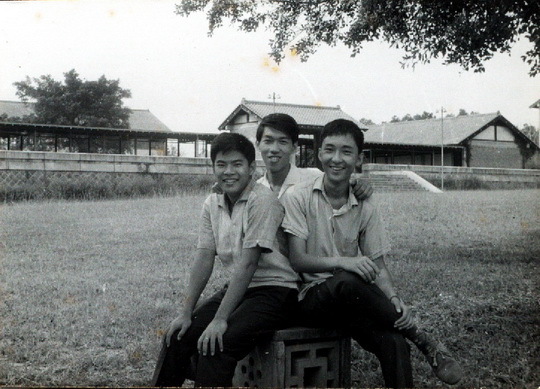 this one may be taken in 1964, the year we graduated from Junior High (新聨分部). 東海別後, 卻在國外多次見面. 第一次-建中-学成回台途中, 經停Dallas, 参观諸建築(博物館, 飛机場,等等). 後又在LA見面, 長談. 又得-建中-贈與書一集. 讀之甚歡. 去年(2012)本欲回台找-建中-述舊. 未成行. 但-建中-友誼永在. Chao’s passing away is a shock to me. He always conveys a sense of youth and love for architecture. I wish he could have been given more opportunities to produce good architecture. I sometimes think his temperament may not fit Taiwan’s professional environment. But he gives all he has to that piece of land whether it is Taiwan or Tunghai. I missed him a lot. Thank you for your encouragement about my writing. It takes enormous amount of time to write it in Chinese on computer. Sometimes I have to beg for mercy from Nan-chou. 推想困難之處是僅是上傳照片與影片, 不能直接 drag and drop. 如是, 可逕email 到 ccchao@cclookup.com. 我們樂意代為處理.